Yes! I did say that everyone has a story. But, me, I have a true testimony to tell you. Yes, we may have Alopecia, but Alopecia does not have us anymore! God’s Word tells us we “love our neighbor as He loves us.” I love you all with a sincere love. Living with Alopecia is nowhere near an easy task. But, life with Alopecia is livable. We only have to accept that God made us unique and for His purposes only. I have come to realize that I must be comfortable in my own skin, and this no matter what people may say or think about me. Many people thought I would not do anything meaningful with my life, but God has the final say! So, we all must pick ourselves up and continue to push through the challenges life brings our direction and live! I reiterate, we may have Alopecia, but do not let Alopecia have you! If we must put on some lipstick, use a variety of beauty enhancing products, to brighten our smile and boost our self-esteem, I’m here to tell, “That’s perfectly OK!” Just know this, when all has faded away, we are still BEAUTIFUL, BOLD, BALD WOMEN! Take it from someone who endured much teasing, bullying, and unwarranted hurt. I am still alive and highly blessed of God! We must learn to overcome fear brought on by the thoughts and sayings of others. 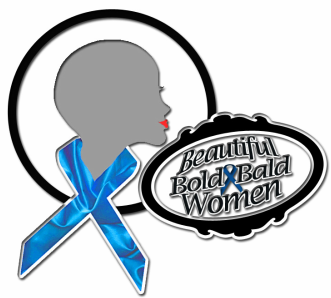 Join Beautiful Bold Bald Women to keep up with the latest events and information. TO HELP WOMEN AND INDIVIDUALS WHO SUFFER FROM ALOPECIA HAIR LOST. THIS WAY FOR A PURPOSE. TO HELP WOMEN AND OTHER INDIVIDUALS STAND STRONG AND BECOME CONFIDENT IN OUR OWN SKIN. 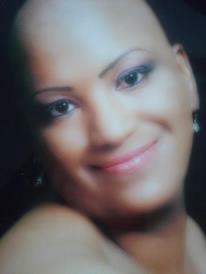 Owner and founder Latina Sethman-Benthall of BBBW talks about alopecia support.